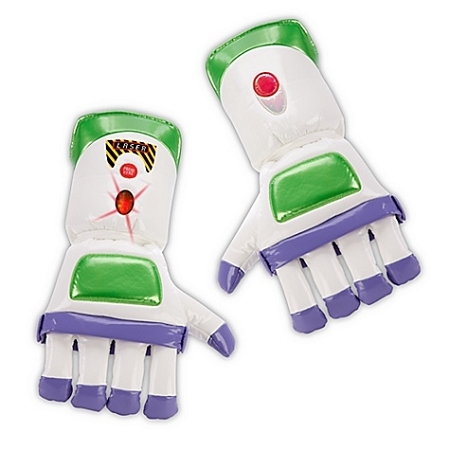 Power up from infinity to beyond in our super-stuffed Light-Up Buzz Lightyear Gloves. These mighty Buzz mitts will make him feel like an official Space Ranger. Press the hidden button to display flashing gauntlet lights.